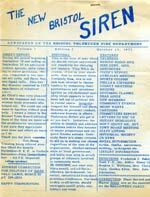 At a public meeting of the Town Board of Bristol on Friday, January 17, 1947, a resolution was offered to form a fire protection district. The new district would cover the entire town of Bristol. The East Bloomfield, Honeoye, and Canandaigua Fire Companies had proposed to contract with Bristol to provide fire protection for the sum of one dollar per M for each one thousand dollars assessed valuation. 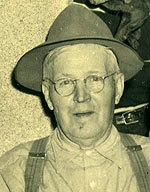 The earliest recollection of discussion leading to the formation of a fire department was January 7, 1952. At this time, the Men’s Club of the Congregational Church discussed methods of fire warnings. The ringing of the Church bell or blowing a car horn while driving through the village was among the methods discussed. 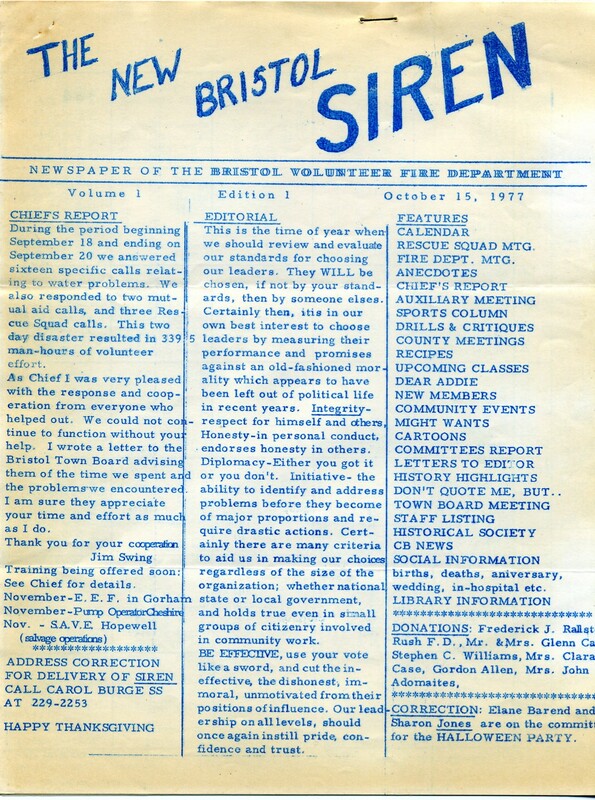 Interest spread rapidly throughout the town, so shortly the “Valley” was dropped and the name “Bristol Volunteer Fire Department” was adopted. Dues were set at $5.00 per year and meetings were held at the Town Hall. By August, 79 people had contributed funds as a member or an honorary member. Burt Legg wrote, “[In the Spring of 1952,] Mendon Fire Company gave us their Peerless Squad car, through the efforts of Bud Sauer. We fitted it with a tank, pump, and hose.” The truck was parked in Burt’s barn until the construction of a fire station in Bristol Center. Apparently the Sterling Sirenlite fire truck siren on the Peerless was not included in the Mendon transaction and was rented to the BVFD for the sum of $5.00 per year. This fact was brought to light in a spirited exchange of letters between the Bristol and Mendon company Presidents a year or so later. At some point Mendon wanted the siren back, and BVFD members were reluctant to give it up. Finally, after Mendon proposed that the BVFD buy them a new siren, the BVFD sent the original siren back along with a definitive, well worded letter of defiance from BVFD President Legg. The first structure fire was at the Double Diamond. There were about 20 men who responded, and damage was held to about $500.00. This fire, plus a few other calls, gave the men justification to apply for a reduction in insurance rates through the National Board of Underwriters. A reduction of approximately 20% in insurance rates was granted to all homeowners who lived within a 3 mile radius of Burt Legg’s barn, which at that time was the fire house. The first officers were Burton Legg as president, Kenneth Morse, vice president, Clarence Granata as Secretary-treasurer; Hillary Meehan as Chief, John Schenk and James Thompson as assistants. Thought was given to placing drums of water throughout the village, but this never developed. Stuart French, a life long fireman of Honeoye, and Assistant Mutual Aid Coordinator, was a most valuable councilor during the years of getting organized. He conducted both the State fire training course and a first aid course. Both courses were completed by approximately 20 fire department members. In June 1953, the members of the Department met with the Town Board to seek some of the $850.00 which was divided between Canandaigua, Richmond and East Bloomfield for fire protection. We were granted $500.00 the first year, and the full amount the next year. Our second Field Day was held in July 1953. We netted $1,222.00. October 1953 saw a siren mounted on the fire house. December 1953: Officers elected were Burt Legg, Pres. ; Russ Lochte, VP; Clarence Granata, Sec’y. ; Julian Harter, Treas. Line officers: Ken Morse, Chief; Bob Green and Walt Jones, Assts. February 5, 1954 – fire leveled Ernest & Katharine Fales’ home on Route 64, south of Vincent Hill Road. The house was 168 years old and had been in Mrs. Fales’ family for 90 years. The Autumn of 1954 saw the pond in Baptist Hill completed on property donated by Roland Tiffany (next to the library on Oakmount Rd), and the beginning of another fire house on property donated by Clarence Bailey. In January 1955, a radio was installed in the Sanford pumper and a walkie-talkie purchased. July 22 & 23, 1955 a 2-day carnival was held including a parade (Bristol’s first and, for many years, only parade). Net $451. The Grange Hall was purchased by the fire dept for $1 and used for our fund raising activities and other community functions. 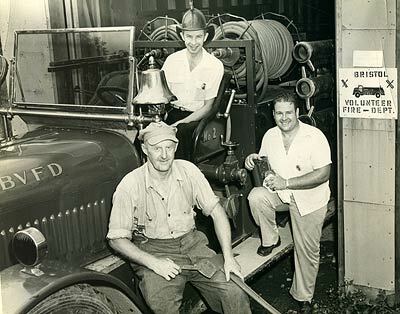 In June 1957, we purchased the chassis for a new Ford 500-gpm pumper. Custom equipped by Wagner of West Henrietta, the new truck was delivered in September 1957 at a cost of $7800.00. $3500 was borrowed from the Evergreen Cemetery Association for 3 ½ years. The old Peerless (our first vehicle) was donated to the newly organized Crystal Beach Fire Dept. Town contract now at $1,000.00. In July 1957 we received a donation of used “uniform coats” from the East Rochester Fire Department. November 1958 – It was decided that fire telephones would be installed in several locations for 24 hour coverage. Possible locations mentioned were the homes of Kenneth Morse, Clarence Nablo, Mrs. Pear, and Robert Green. May 5, 1960 – A fire at Baptist Hill left 23 people homeless as two houses and a barn were burned at a loss of $35,000. There were two other houses and the church which also suffered damage from sparks from this fire. Bristol and 6 mutual aid companies responded, plus the water service of Hatch and McIlveen, and 75 volunteers. March 1961 – purchased a 1947 GMC and retired the Sanford in June 1961. January 1966 – Committee was formed to obtain specs for a tanker. In July 1966 a Chevrolet chassis was ordered. The 1000 gal tank and compartments were built locally. August 1967 – Bought 2 Scott Air Packs and extra tanks. Gulick Road; County Rd. 33 to South Bristol town line; Ganyard Hill Rd. (within ½ mile of County Rd. 33); Lower Egypt Rd. ; Morrow Hill Rd. ; Rt. 20A between town line and Buckelew Rd; and County Rd. 32 between Morrow Hill and Rt. 20A. This agreement is still in place today. In 1975 the BVFD fundraising activities – carnival, etc – were huge money makers for the Department. So much so, that for every dollar received from the fire protection contract, the fundraisers made three dollars.